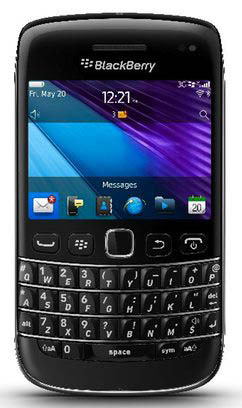 Jakarta, Indonesia - Research In Motion (RIM) (NASDAQ: RIMM; TSX: RIM) today announced plans to launch the new BlackBerry® Bold™ 9790 smartphone in Indonesia. The powerful BlackBerry Bold 9790 features a compact design and offers users a fully loaded, high performance smartphone with the dual benefits of a high resolution touch display and a highly tactile keyboard. The new smartphone will be available in Indonesia from 25th November priced at 4,599,000IDR from authorized partners: PT. Teletama Artha Mandiri, PT. Comtech Cellular, and PT. Selular Media Infotama. The BlackBerry Bold 9790 smartphone includes built-in support for Augmented Reality and NFC, allowing users to connect with the world around them in fresh new ways. With the Wikitude Augmented Reality application, users can find nearby BBM™ (BlackBerry® Messenger) contacts in real-time, read reviews on restaurants close to them, or get the story behind an interesting landmark and points of interest. NFC also enables many new and exciting capabilities, including the ability to make mobile payments, pair accessories or read SmartPoster tags with a simple tap of the smartphone.